28 years old male pacient came with a coronary fracture caused by a caries on 14., needing an endodontic treatment (Fig. 1). 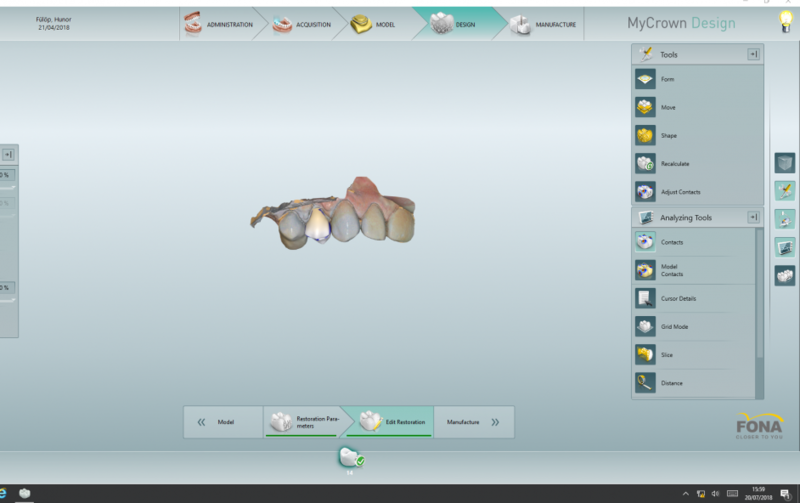 We decided to make a full ceramic crown with MyCrown. 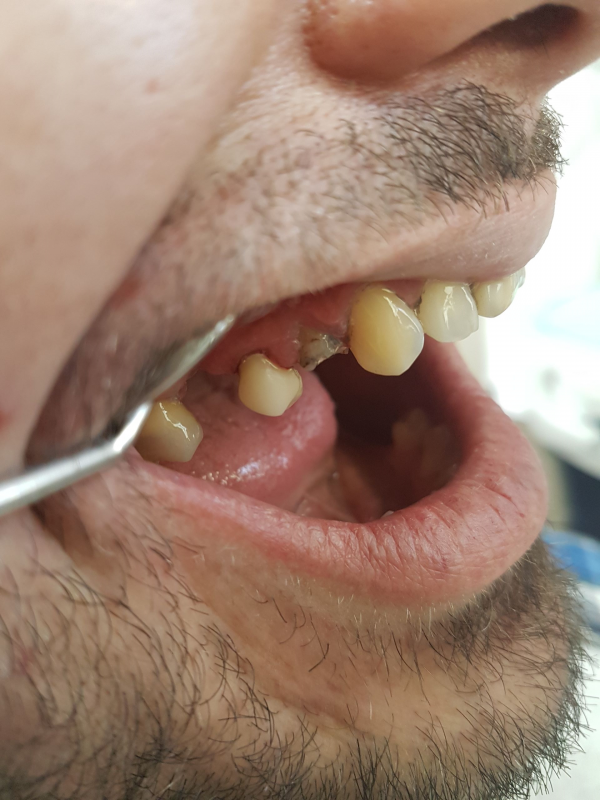 A single crown case is always a challenge for me to get the expected aesthetics even if it is not necessarily in the front zone. 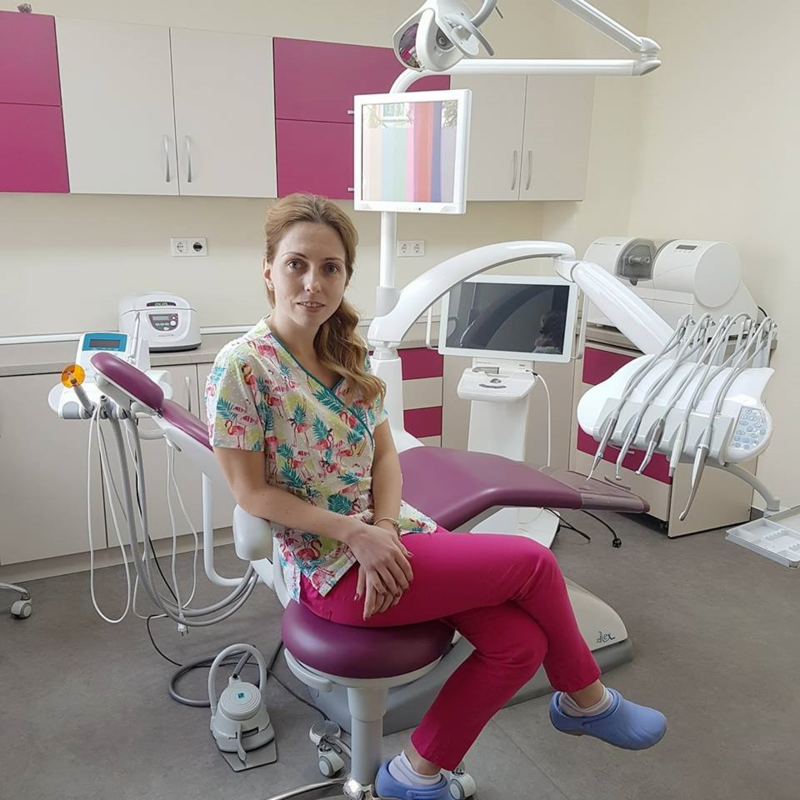 In the first visit i made the endodonthic treatment, and also the bont reconstruction, removing all dental decay. The day after he came for the crown. I prepared the tooth to make space for the restauration. I extended my preparation below the gum line. After I got the desired shape, I inserted 2 kind of retraction cord, size 0 and size 1. I scanned the tooth, registered the buccal bite, drawed the margins, defined the insertion axis, then I began to design the crown, having in mind all the anatomy of the premolars, but also the pacients desires. 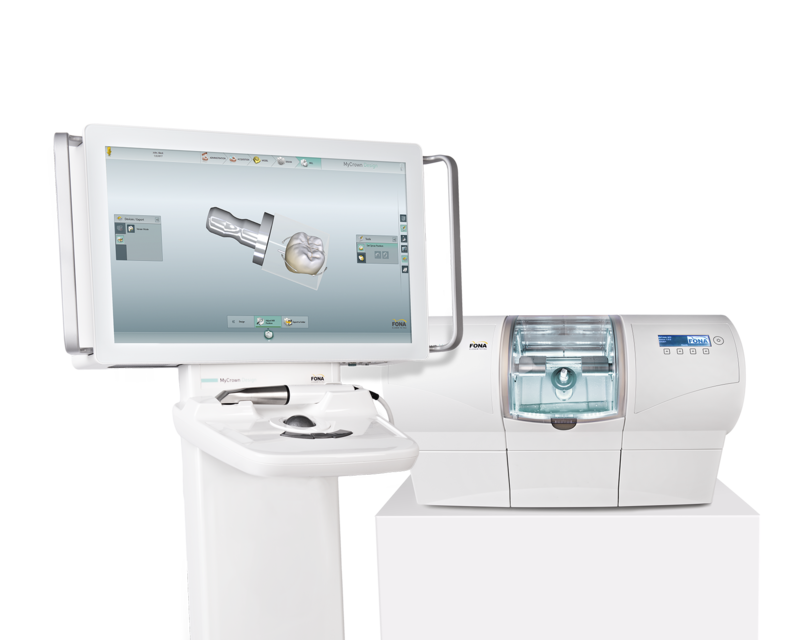 We used Sirona Cerec Block C PC, A3C shade, and the crown was ready in 9 minutes (Fig. 2). After polishing and glazing the crown, I cemented it using a rubberdam with Theracem (Bisco). Fig. 3. 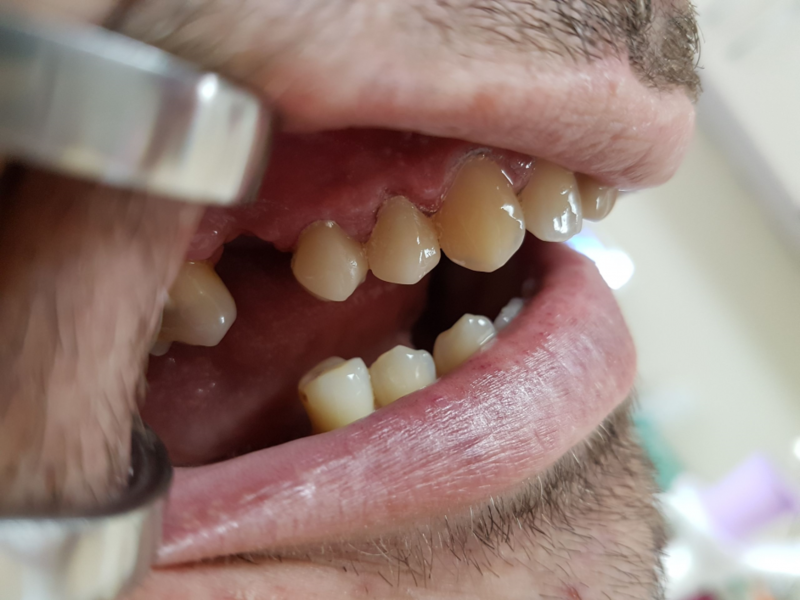 This clinical case proves that even difficult treatments could be done efficiently and in a short time with MyCrown CAD/CAM.